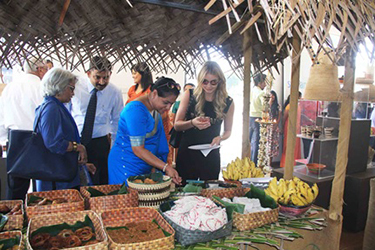 Former miss Great Britain & TV Personality Amy Kitchingman participates at the opening of “Avurudu” table at the TIC Colombo. 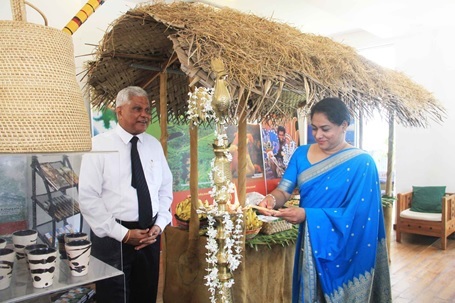 The Tourism information Center at the Sri Lanka Tourism head office created a welcoming and a traditional Avurudu experience for the tourists who visited the center. 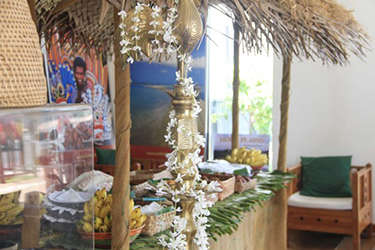 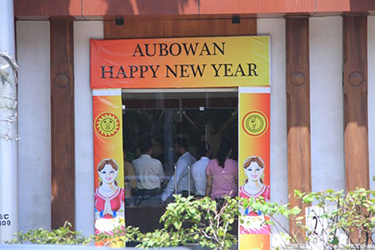 The unique Avurudu experience was created within the TIC premises for all tourists visiting the centre to highlight the importance of the Sinhala & Tamil New Year. 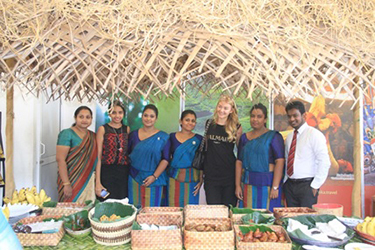 Amy Kitchingman, official presenter for Physique TV’s On The Go, former Miss Great Britain and the new media influencer for the humongous brand Victoria’s Secret sports collection was delighted the light the traditional oil lamp along with Chairman, Managing Director and other officials of SLTPB. 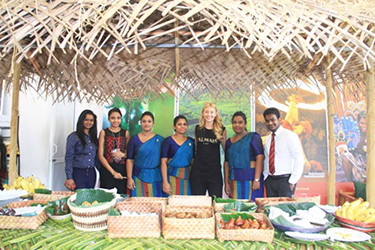 Amy Kitchingman is a Dubai-based TV and media personality who is well known for being the endearing TV host for Physique TV’s On The Go, a show that focuses on travelling and restaurant hopping while staying fit and healthy. 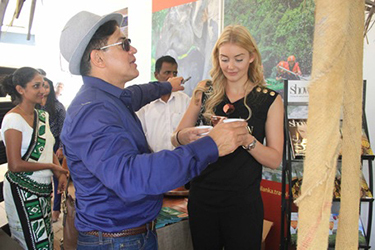 Amy is the brand ambassador and media influencer for brands such as Victoria Secret Sports, Oakley Eyewear, Hautletic, Puma and Talise Fitness. 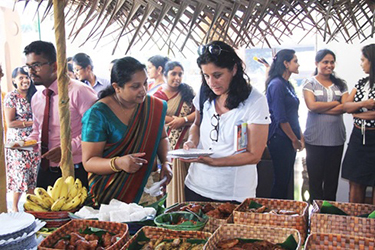 This Avurudu treat gave Amy a platform to highlight traditional values and rich cultural heritage of Sri Lanka to her social media followers. 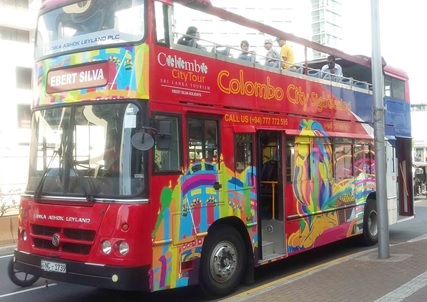 The event attracted many tourists in the Colombo Area including the travelers on board Colombo City Tour double decker ride. 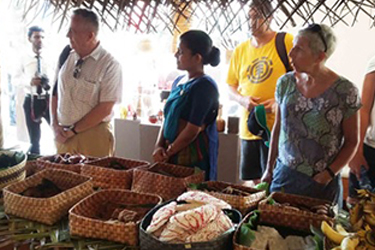 Sri Lanka Tea Board also served tea while sharing more information about the Ceylon tea products with the guests. 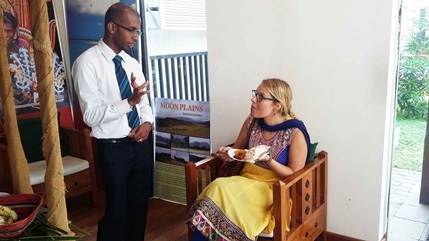 "Our aim is to entice tourists to experience something unique and authentic about Sri Lanka while they visit the information center, we believe that this type of activity will spread positive word of mouth" commented Harindra Wijewardena, Assit Director, who oversees the Tourist Information Centres of Sri Lanka Tourism Promotion Bureau.